A collection of tutorials, practicals, and lectures that we've published. Michael presents his keynote from the 2018 Ecoacoustics Congress asking the question how long can we keep describing ecoacoustics as "new"? When does ecoacoustics stop being "new" and "come of age"? This practical will guide you through: downloading a copy of AnalysisPrograms.exe, opening and using a terminal, calculating acoustic indices for your data, and running an acoustic event recognizer on your data. 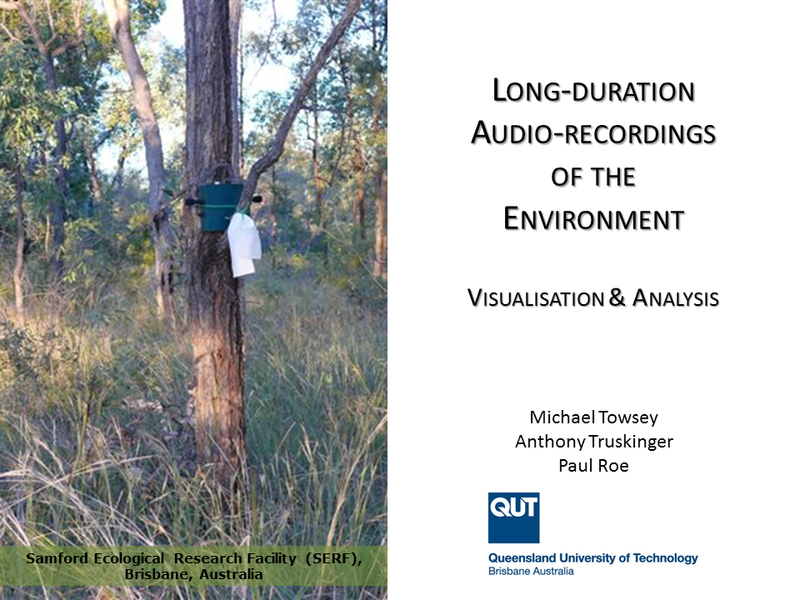 This presentation describes work being done in the Ecoacoustics laboratory at the Queensland University of Technology. An important part of our research is the visualisation, navigation, and analysis of long-duration recordings of the environment. An acoustic day in the life of the Australian bush as revealed in a series of zoomable false-color spectrograms. This is a prototype user-interface designed to test the concept of zoomable false-color spectrograms.